Hello and Welcome! 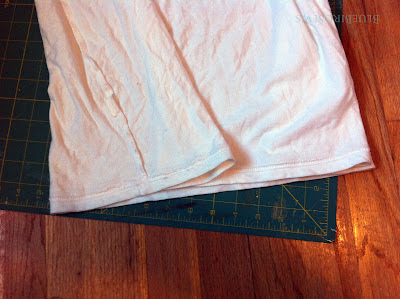 Today I'm sharing a quick tutorial on how to transform a t-shirt into a tote bag. 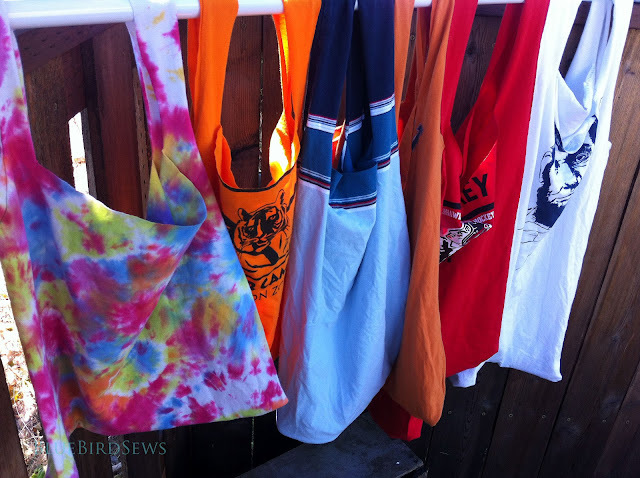 Bringing your own bags to the farmer's market, grocery store or any where else will be a snap with these t-shirt totes! 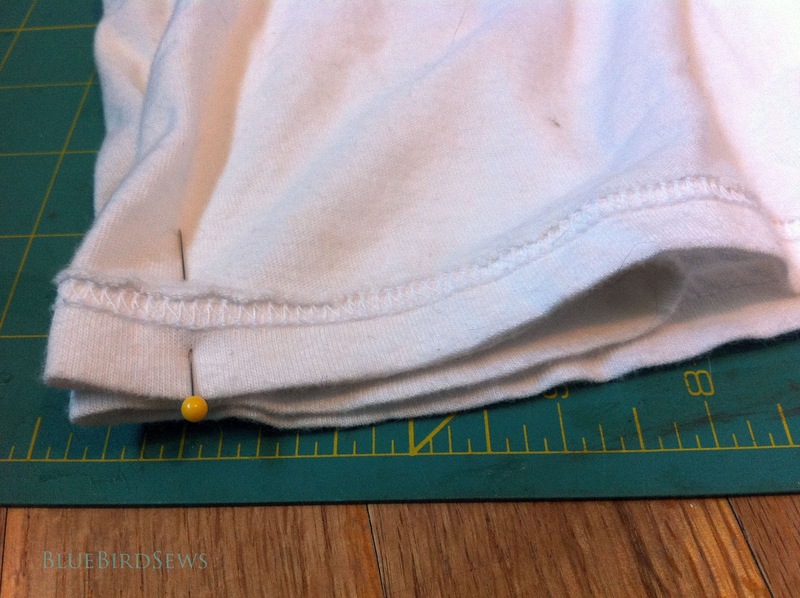 And with this super quick method you'll turn out a strong bag you can use over and over again! given away at the West Moreland Farmer's Market on 8/8/2012! 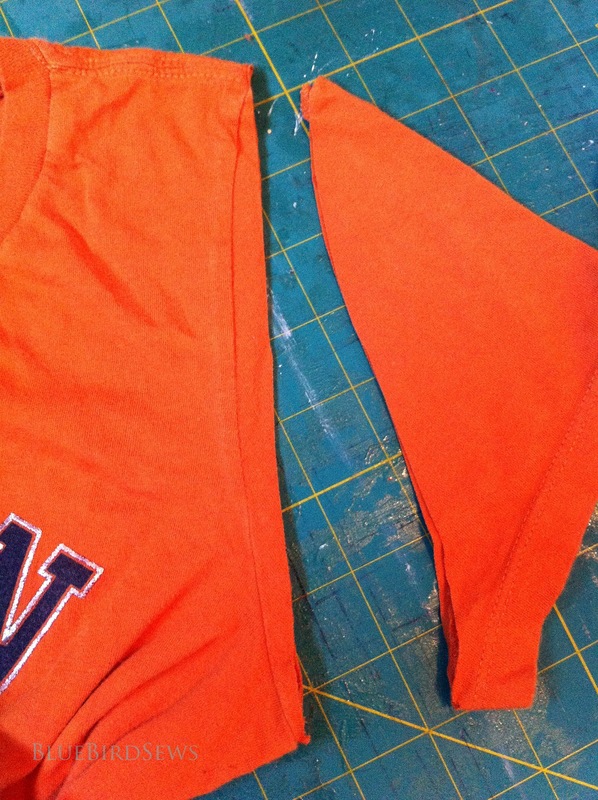 Start by lining up your ruler on the far side of the arm seam, you want to leave the seam intact to provide extra strength for all those farmer's market peaches, onions & meat! Cut out the neck. 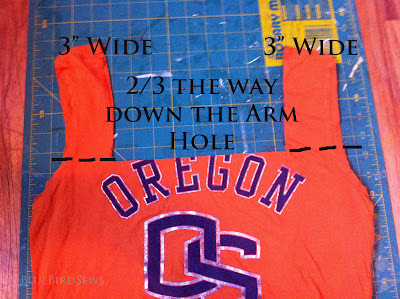 Since t-shirts come in all sizes I will give you a measurement guidelines: cut the 'handles' about 3" wide and cut down into the neck of the shirt about 2/3 of the way down the arm hole. When using a rotary cutter one long cut from side to side works well. 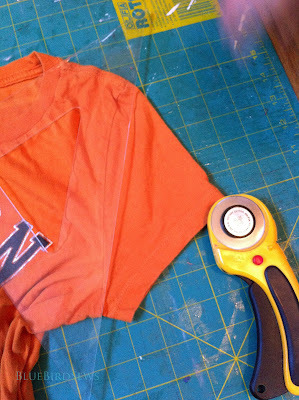 If you are using scissors to cut it out instead of a rotary cutter then use a marker and draw a line first then follow your line with scissors. If you have a really big t-shirt like XL you'll want to fold the bottoms into the shirt to create a pocket bottom, which will still hold a lot of stuff, but won't be so bulky. Start by turning the shirt inside out and folding the bottom into itself. Again since every shirt is a different sized just make a guess at how much you should fold over. 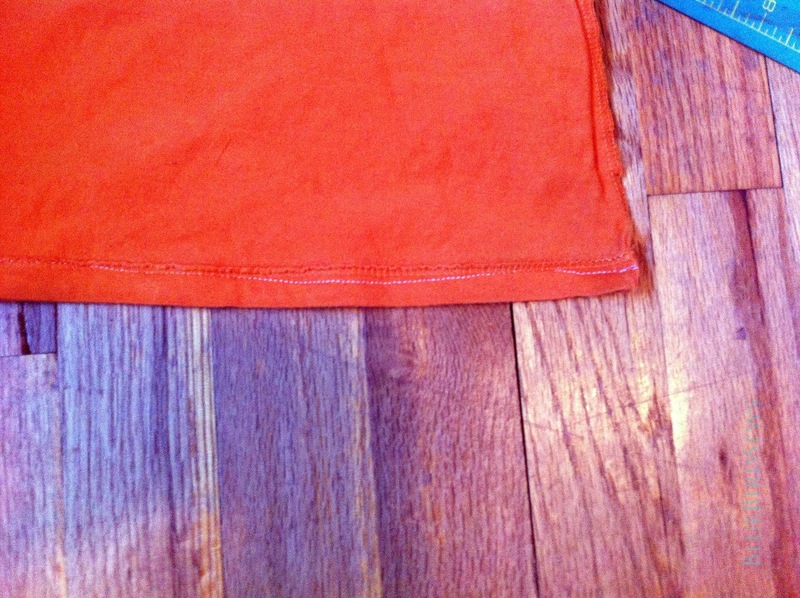 For this shirt the bottom was huge and I folded about 4 inches on each side of the seam for 8" total. Anyway your fold it works -- a simple turn in on either side will also do the trick. 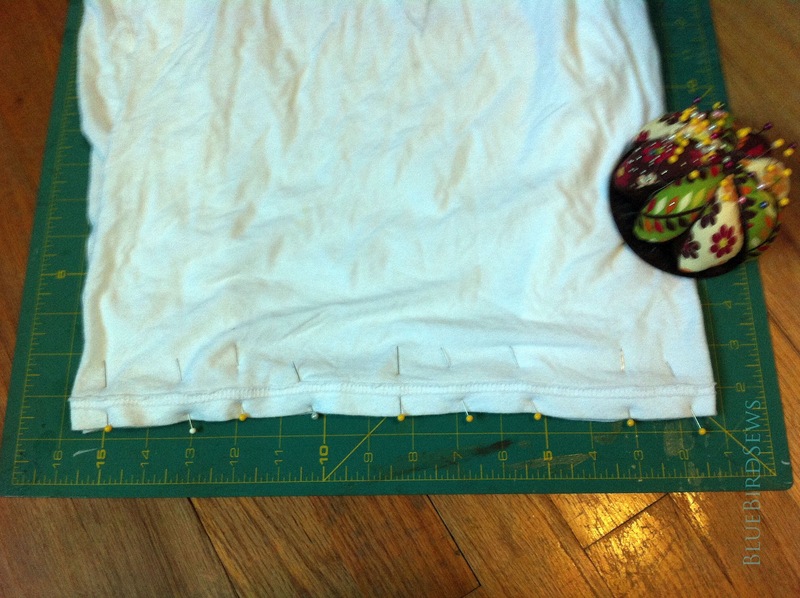 Then pin across and sew the bottom seam on the hem and back stitch at the beginning and end of the shirt. For the small to large shirts no pocket was needed I simply turned inside out and stitched across on the hem. Ta-Da! 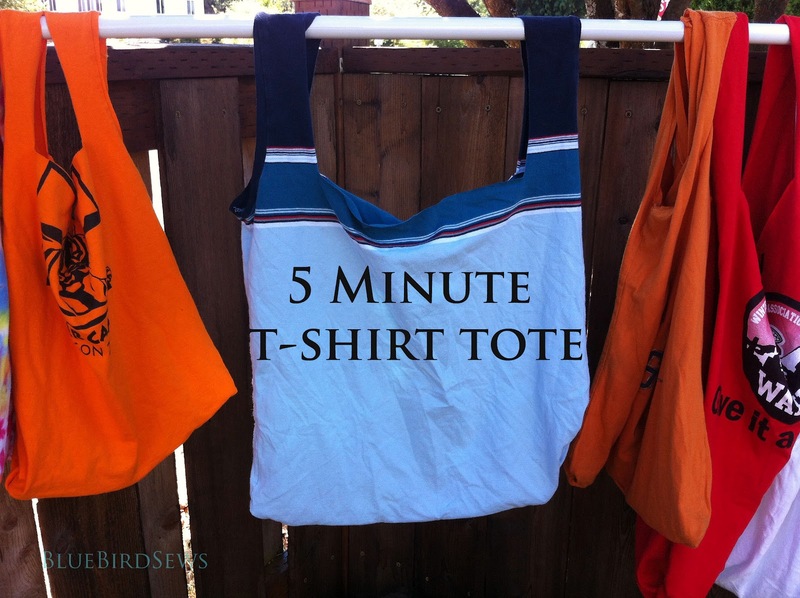 A Reusable recycled t-shirt tote ready for your goodies. I've made a few already in all sizes from child's small to adult XL. 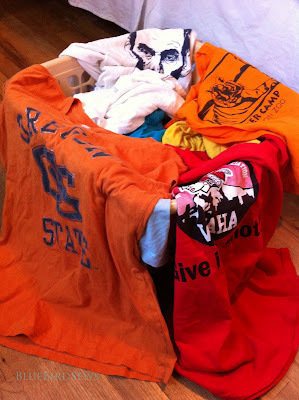 They all turn out great and soooo quick - oh and best of all they are machine washable!! I hope you make one for yourself or come on down the Moreland Farmer's Market on Wednesday August 8th and I'll be handing out a limited number of bags for FREE! Wow...so quick and easy...LOVE THIS! Cherie - great question that I want to answer for everyone. They do stretch a bit...the more stretchy the shirt is to begin with the more it goes, but most 100% cotton shirts with the arm hole seam intact don't stretch a ridiculous amount. There's some but it doesn't detract from the usage! 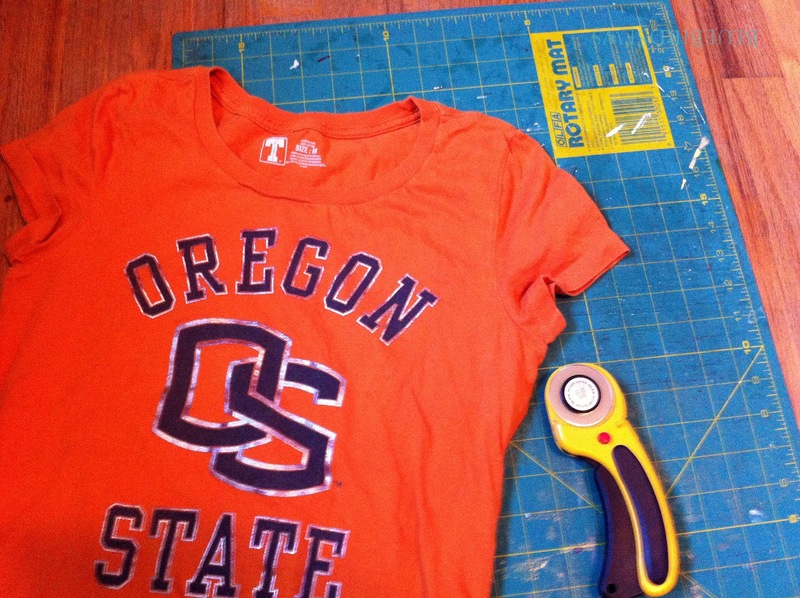 I'm working on a post that includes lots of great ideas for re-purposing t-shirts. I want to include a link to this post because I think it's a great idea! Thanks for sharing. 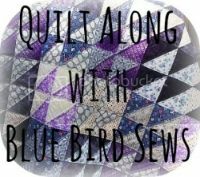 When I finally finish my post, you can find it at thedomesticatedprincess.blogspot.com. So cute and easy! Love it!!! These are awesome! Love anything upcycled.. 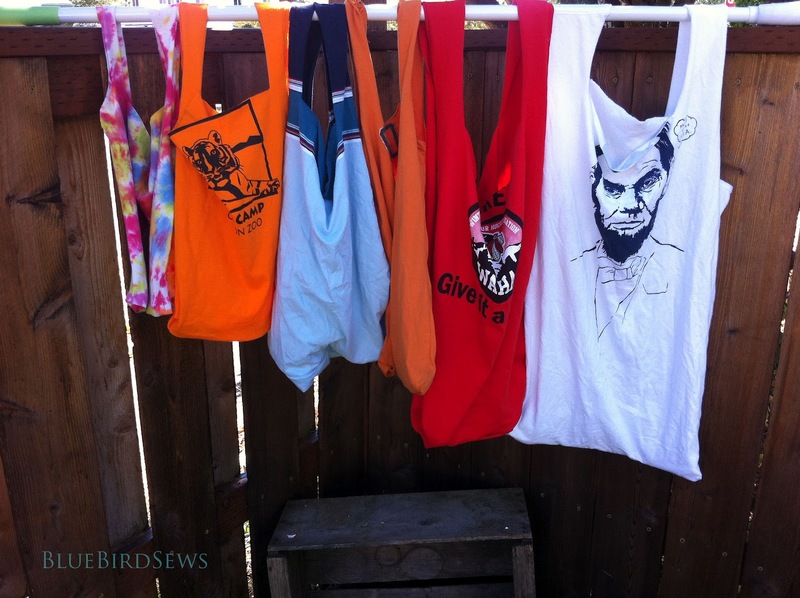 I just love the tiedye bag and the Abe Lincoln one! Such fun and with the right tee shirt you could make quite a statement at the grocery store. :D Thanks for sharing on BeColorful. What a great idea! I love easy projects like this. Thanks for sharing at I Made It! Monday. Can't wait to see what you link up this week. I wanted to let you know that I featured your t-shirt bag tutorial on my 10 Ways to Showcase Special T-Shirts post at http://thedomesticatedprincess.blogspot.com/2012/11/from-t-shirt-to-treasure-part-3.html.